Plumbing is an integral part of every home or business. 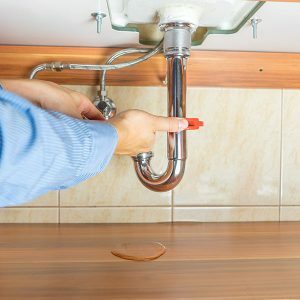 When a leak or drip comes up, it can be a total inconvenience – to say the least. Choose a local plumber that you can count on for reliable service and a job well done. Sandri Plumbing is made up of a team of licensed plumbers with years of experience meeting the home comfort needs of Franklin County customers. From major leaks to small drips, we’ve got you covered! Finding a professional plumber that you can depend on for fair pricing and quality service isn’t always easy. Do business with a local family-run business that you can really count on! Sandri Plumbing is prepared to repair dripping faucets, leaky pipes, running toilets, and so much more. All members of our staff are highly-trained, insured, and licensed. We take care to keep our service trucks stocked with most common plumbing parts to keep our service visits efficient. If your service request requires more attention, our team is able to perform any hardware replacements or installations you might need. Drain clogs, hardware, leaks, and more. Call Sandri Plumbing at (800) 628-1900 today!